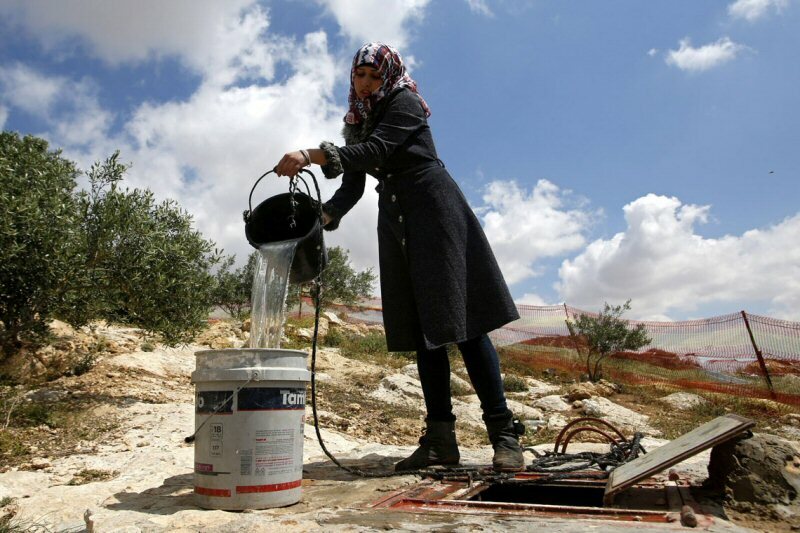 Palestinian farmers in Deir al-Hatab town, east of the northern West Bank city of Nablus, reported on Wednesday that Elon More settlement near the city flooded dozens of their olive trees with sewage water on Tuesday evening. As a result, large areas of their agricultural lands were spoiled. Zakaria al-Siddeh, official of field operations at Rabbis for Human Rights organization said that the Palestinian farmers discovered, in the morning, the tremendous damage when they visited their lands in order to pick the olives. The Israeli occupation forces on Wednesday morning stormed al-Ras al-Ahmar, in the northern Jordan Valley, and cracked down on Palestinian farmers. According to local sources, Israeli army patrols chased down Palestinian farmers while they were cultivating their land lots in Ras al-Ahmar. 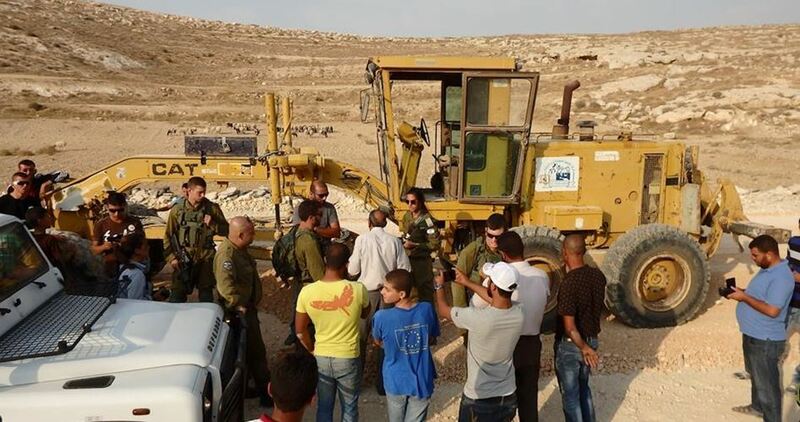 The occupation forces stopped agricultural tractors and vehicles working in Palestinian farmlands in the area. 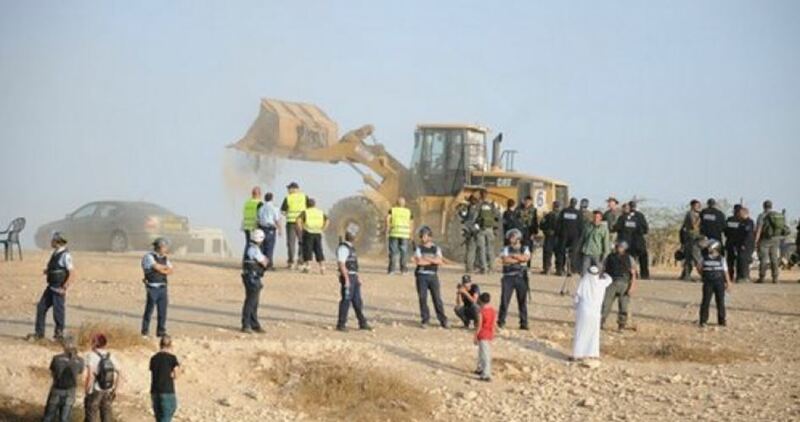 Palestinian farmers in Ras al-Ahmar have been permanently targeted by the Israeli army. At least three Israeli settlements and two military camps surround Palestinian ranches in the area. Palestinian customs check crews on Wednesday caught an Israeli dustcart carrying solid waste, including construction debris, in an attempt to discharge them on Palestinian lands in Salfit. 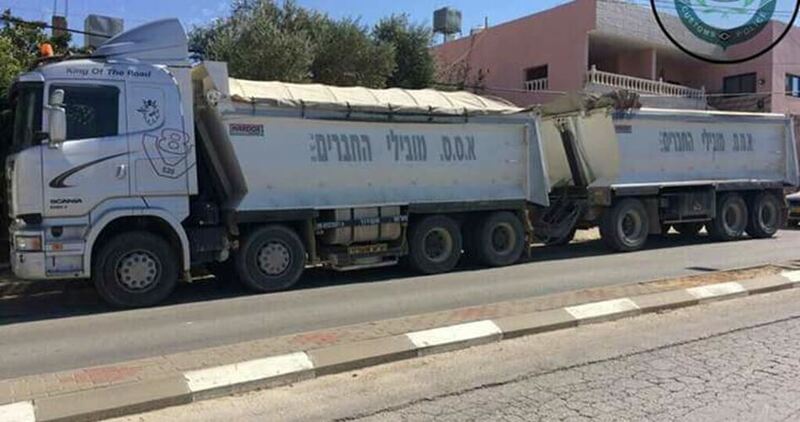 A statement by the Public Relations Administration at the Customs Police Station said a garbage truck carrying solid waste from the industrial zone of the Israeli settlement outpost of Karni Shamron was detected in Salfit. According to the customs authorities, the waste spotted onboard the Israeli trucks is harmful to the ecosystem and natural world for it includes insoluble materials and products. 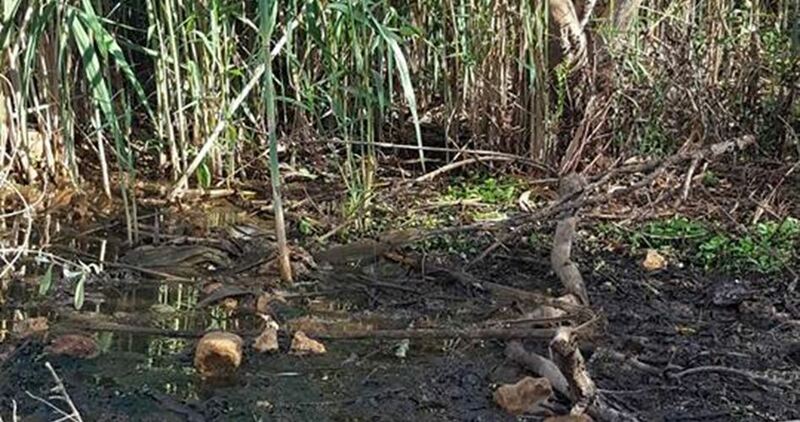 The customs officers forced the truck to pull back shortly after staff members of the Environmental Quality Authority showed up in the area and warned of the ecological dangers that are likely to be wrought by the trash. 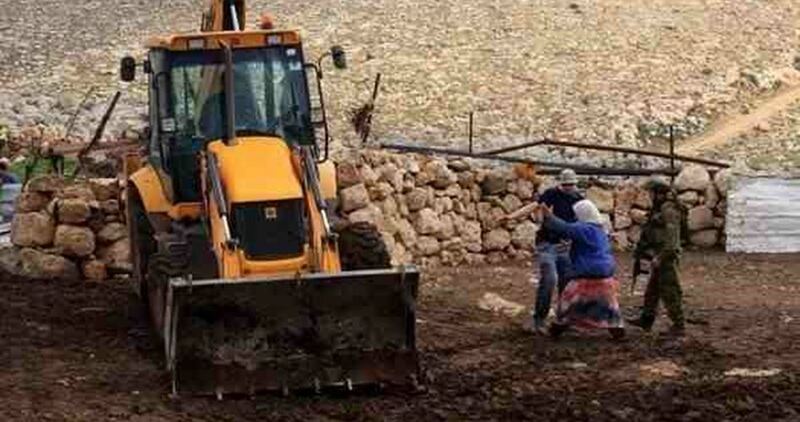 The statement revealed the launch of a series of legal measures to protect Palestinian landowners in Salfit from such hazardous attempts by the Israeli occupation authorities and settlers. 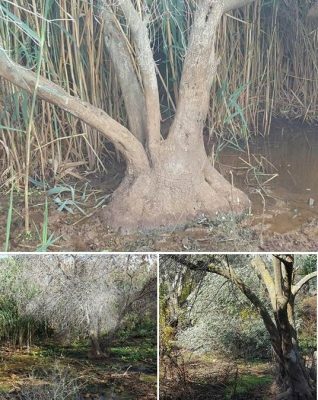 Israeli colonists flooded, Tuesday, dozens of Palestinian olive trees with sewage water, in Deir al-Hatab town, east of the northern West Bank city of Nablus. Coordinator of the Israeli Rabbis for Human Rights organization in the occupied West Bank, Zakaria al-Sidda, said the colonists flooded the olive orchards near Elon Moreh illegal colony. He added that the Palestinian owners of the olive orchards have been isolated from them, and are only allowed to reach them twice a year through special permits and coordination. 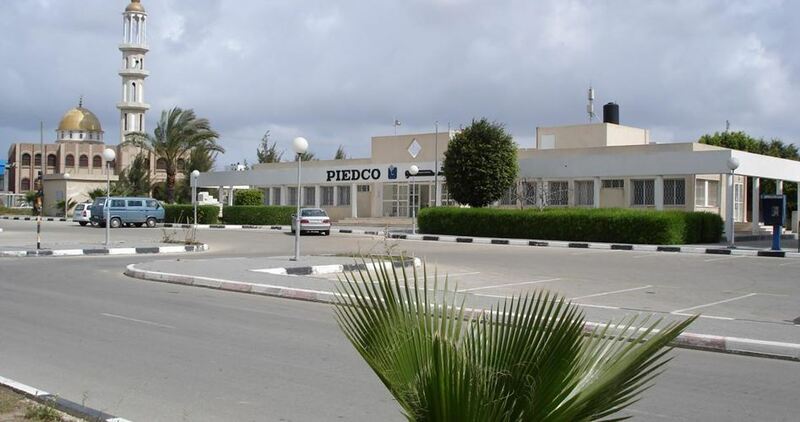 The coordinator also stated that the colonists already picked many olive trees in the area, and stole the produce, especially since they have unrestricted access to the orchards. Although attacks carried out by extremist colonists are frequent, including uprooting and burning Palestinian lands and flooding them with wastewater, they witness a serious escalation every year during the olive harvest season. The Israeli occupation authorities on Monday approved the confiscation of Palestinian agricultural lands in al-Nabi Saleh village, northwest of Ramallah. 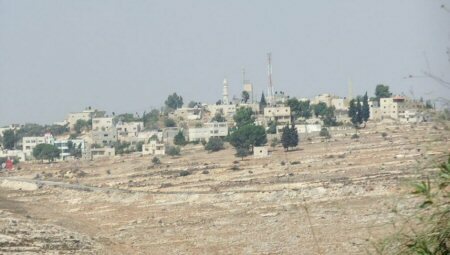 According to local sources, the occupation authorities prevented Palestinian farmers from reaching their land tracts near Halamish settlement, in the central West Bank. The Israeli authorities have made it clear, in circulars handed over to the landlords, that the confiscation order was issued on security grounds. 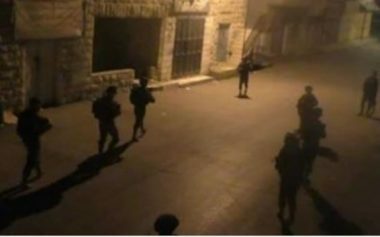 Israeli soldiers invaded, on Monday at dawn, the northern West Bank city of Jenin, and Jenin refugee camp, searched homes and abducted four young men, including a former political prisoner. Israeli navy ships opened fire on Palestinian fishing boats in Gaza. The Jenin office of the Palestinian Prisoners’ Society (PPS) said the soldiers abducted a former political prisoner, identified as Faraj Omar Sanouri, from his home in the Eastern Neighborhood, in Jenin city. It added that the soldiers also abducted Fares Sa’id Shalabi, Yazan Mer’ey and Abdul-Rahman Salah Turkman, from Jenin city and Jenin refugee camp. It is worth mentioning that the soldiers conducted, at dawn, extensive invasions and violent searches of homes in al-‘Isawiya town, in occupied East Jerusalem, and abducted 43 Palestinians, including many children. In addition, the Israeli army said its soldiers arrested fifteen Palestinians in the West Bank, excluding the 43 in Jerusalem, and that they located a pistol, during searches in Hebron, and another weapon in Beit Fajjar town, south of Bethlehem. In the Gaza Strip, Israeli navy ships opened fire on several Palestinian fishing boats, in the Sudaniyya Sea area, northwest of Gaza City, causing damage. The fishermen sailed back to the shore without being able to fish, to avoid further Israeli attacks. Jordan Valley, Occupied West Bank – Water is not scarce in the Jordan Valley, known as the traditional “breadbasket of Palestine” – yet Palestinian farmers struggle to survive, with little water to nourish their crops. They say the amount of water that Israeli authorities allocate to them has been decreasing daily since the Second Intifada. Meanwhile, neighbouring settlements consume copious amounts of water. They grow produce, such as bananas, requiring large amounts of water, which is mostly pumped from wells in the occupied West Bank, and they export a rich variety of fruits, vegetables, flowers and spices to Europe and the United States. In the village of Ein al-Beida, barbed wire divides a field in two. On one side are rows of orange trees covered in lush green leaves, grown by Israeli settlers from a nearby illegal settlement; on the other is barren land allocated for Palestinians, where nothing grows except stiff stalks of yellow grass, long dried out due to the lack of water. 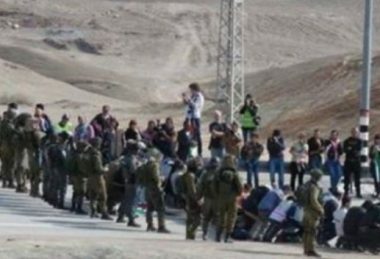 Farmers in Ein al-Beida, one of the few villages in the Jordan Valley that is connected to the water grid, last month staged a peaceful protest after Israeli authorities cut their water for more than a week. Israeli authorities eventually turned their water back on, but locals say the amount is now less than half of the 240 cubic metres an hour that they received before the protest. Many Palestinians who depend on agriculture for a living try to install water pipes and connect to the water network on their own. Doing so without an Israeli permit, however, is deemed “illegal” and puts them at risk of having these makeshift connections demolished. Only 1.5 percent of Palestinian building permit applications in Israeli-administered Area C of the occupied West Bank were approved between 2010 and 2014. Consequently, Palestinians have no choice but to build without a permit, even if it is a simple rainwater tank on private property. However, the Israelis discovered the illegal connection “and punished the whole area by decreasing and cutting our water”, Foqaha added. The Israeli government did not respond to Al Jazeera’s request for comment on the matter. Following the 1967 war and Israel’s military occupation of the West Bank and the Gaza Strip, one of Israel’s first acts was to declare all water resources to be under Israeli military control. In order for Palestinians to build wells, repair pipes or develop irrigation networks, they had to obtain Israeli-issued permits, which are scarcely granted. As a result, Palestinians often have their water tanks confiscated and pipes cut by Israeli authorities. Palestinian farmers in the Jordan Valley recall a time before 1967, when their families freely used the water from springs that ran through their villages and watered their crops with canals. Their fathers grew citrus fruit and bananas; water was plentiful. Today, they depend on seasonal agriculture to grow rain-fed crops that are on average 15 times less profitable than irrigated crops. They rely on growing produce that can survive for longer periods without water, such as dates, eggplants and zucchini. Palestinian farmers say they now use less than half of their original farming land. After the 1967 war, the Israeli government confiscated land where the main spring flowed in Bardala and diverted the water to nearby agricultural settlements. Mekorot, Israel’s national water company, dug deep into the mountain aquifer, and by the end of the 1970s, Israel had extracted so much water that the springs in Bardala and Ein al-Beida had dried up. Since groundwater sources have been depleted by Israeli-owned wells, Palestinians have resorted to buying their own water back from Mekorot at a high cost. “The Israelis dug underground, conducted experiments and found out that this whole area is full of water,” Foqaha said. Water may be scarce for Palestinians, but it is not for Israeli settlers. The difference in consumption is stark: According to EWASH, a coalition of 30 NGOs, settlers in the Jordan Valley consume 81 times more water per capita than Palestinians in the West Bank. Israel’s policies regarding water distribution amount to “water apartheid”, according to the human rights organisation al-Haq. “Contrary to popular belief, water is not, and has not been, scarce in the region,” al-Haq noted in a 2013 report titled Water For One People Only. “The level of unrestricted access to water enjoyed by those residing in Israel and Israeli settlers demonstrates that resources are plentiful, and that the lack of sufficient water for Palestinians is a direct result of Israel’s discriminatory policies in water management. “Mekorot routinely reduces Palestinian supply – sometimes by as much as 50 percent – during the summer months in order to meet consumption needs in the settlements,” the report added. The water cuts are not limited to areas under Israeli control. According to residents in Nablus in Area A, which is under Palestinian Authority (PA) control, water shortages reached a new peak this past summer, with water cuts lasting for as long as two weeks. Farmer Ibrahim Kassab from the village of Jiftlik told Al Jazeera that half of his profits were spent on buying water for his crops. About 90 percent of his water supply is bought from Mekorot, and only 10 percent comes from the spring. “Everyone here is thinking the same thing – to quit farming,” Kassab said, noting that half of the farmers in the village have already abandoned their farms and picked up jobs as labourers elsewhere. More than 10 percent of the Palestinian GDP depends on agriculture, yet only 10 percent of the land is irrigated. In contrast, agriculture in Israel accounts for three percent of its GDP, but more than 50 percent of the land is irrigated. “Anything that’s green is Israeli; anything that’s dry and yellow is Palestinian,” Ein al-Beida farmer Hussein Foqaha told Al Jazeera. Farmers have nowhere to turn for help. Unable to extract their own water, their peaceful protest achieved little. The head of their local council has reached out to the mayor of the nearest town, Tubas, to request water from the PA, but nothing has been achieved so far. “At least we have water to drink now,” Muntasir Foqaha, another villager from Ein al-Beida, said wryly, commenting on the protest last month. 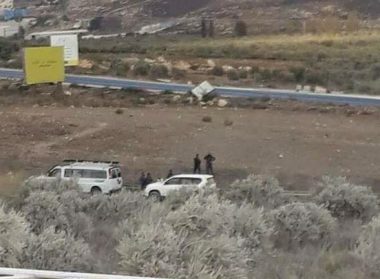 Several Israeli colonists invaded, on Sunday at dawn, Palestinian olive orchards, in al-Mughayyir village, northeast of Ramallah, and Burin village, south of Nablus, in the occupied West Bank, before harvesting the trees and stealing the procedure. The colonists, from Adi Ad illegal colony, invaded Palestinian orchards in the al-Mughayyir village, and harvested more than 200 olive trees, before fleeing the area with the stolen produce. 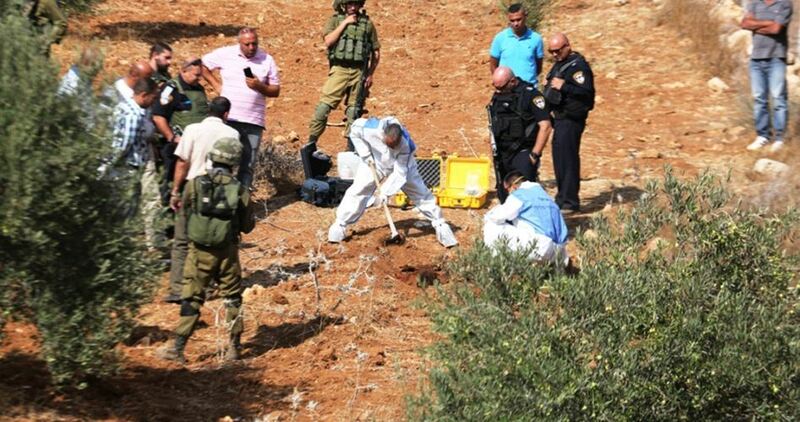 A similar attack took place in Palestinian orchards in Burin town, when the invading colonists harvested sixty olive trees and stole the produce. Such attacks witness a serious escalation every year during the olive harvest season, in addition to the numerous invasions and attacks targeting Palestinian farmlands throughout the year. These attacks include burning the lands, uprooting them, flooding them with waste-water and chemicals, in addition to fencing them to expand the illegal colonies and outposts.